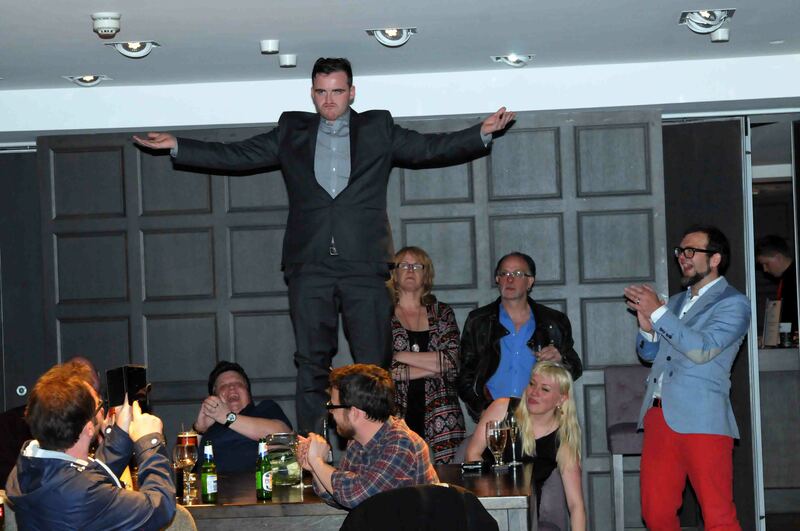 Nominations for the 3rd Annual Scottish Comedy Awards are now being taken. Nominations must reflect performances between 1st January 2015 and 31st December 2015. Nominations CLOSE ON SUNDAY 10th January 2015 @ 23:59 GMT. The winners will be announced on either Monday 18th or 25th April 2016 at Blythswood Hotel, Glasgow. This year we have been promised the bar downstairs will remain open until 2am. Award ceremony date will be confirmed in January once we have the host & attendance of lifetime achievement recipient confirmed. 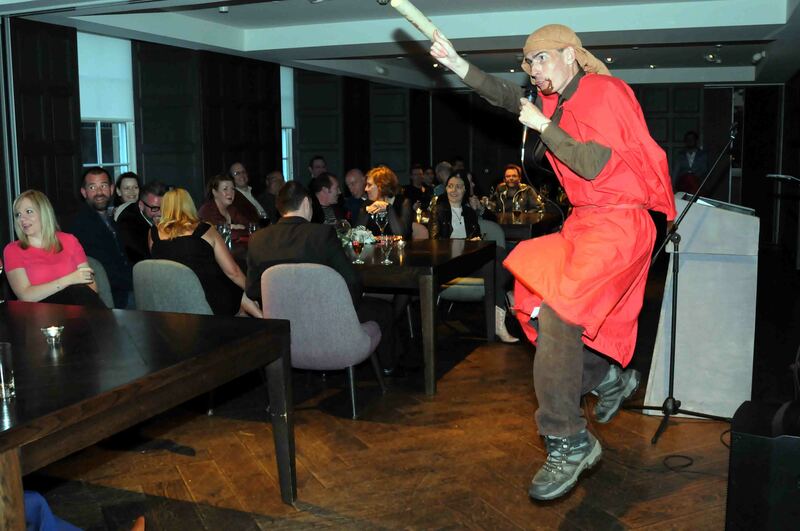 The Scottish Comedy Awards 2015 took place last night at Glasgow’s Blythswood Hotel. 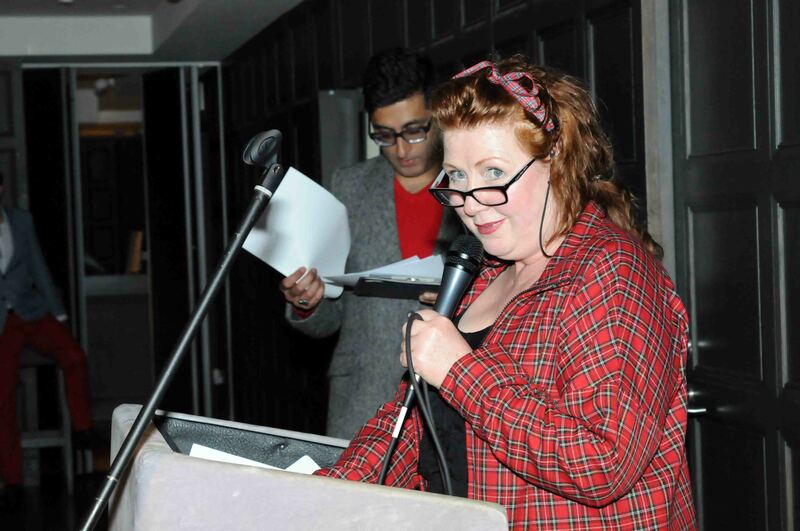 Hosted by Still Game’s Sanjeev Kohli it was a riotous night of stupidness. Still Game Live at The Hydro was the big winner, taking home the quaichs for Best TV Show and Best Event. Kevin Bridges won Best TV Comedian and Frankie Boyle Best Online Comedy for his BBC iPlayer programme Frankie’s Referendum Autopsy. 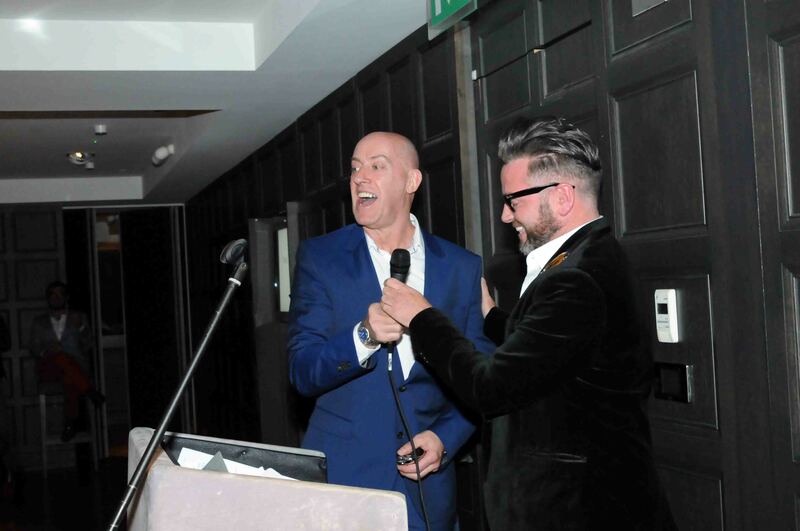 BBC Scot Squad’s Darren Connell collect Best Actor and Capital FM’s Breakfast with Des and Jenni too Best Radio show ahead of Fred MacAulay. Here is the full list of winners and some photos from last night. We all have sore heids now this morning. Best festival/tour show – Aye Right, How No! 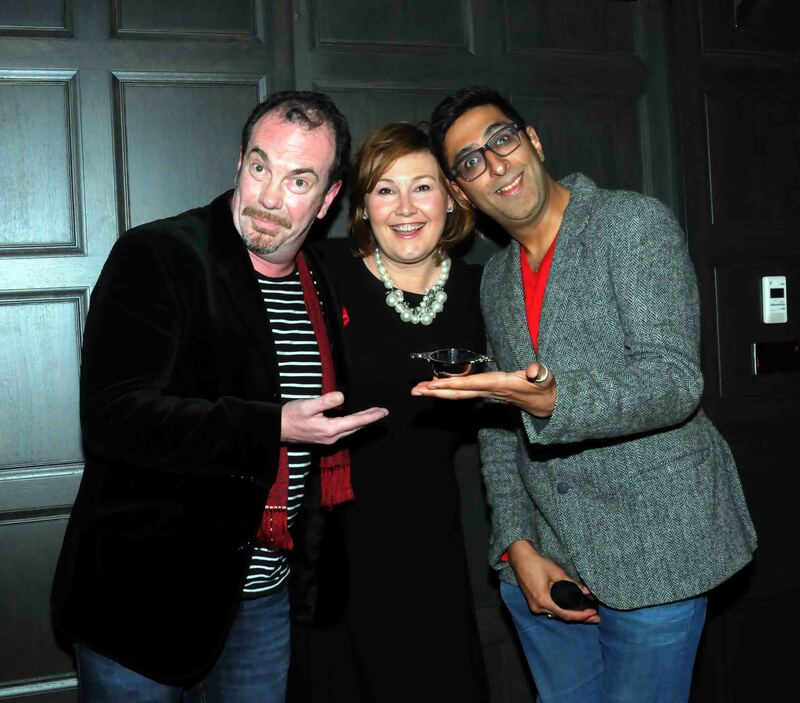 Gavin Mitchell, Jane McCarry and Sanjeev Kohli collect one of two quaichs won by Still Game Live at The Hydro. 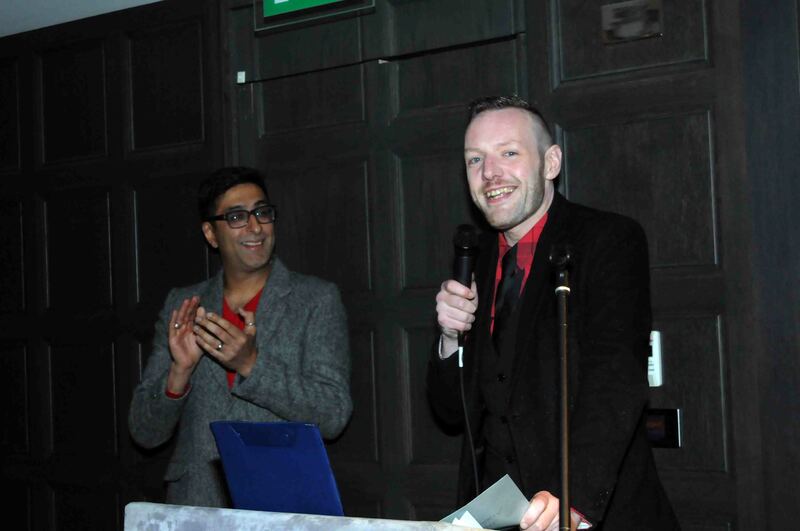 Jay Lafferty accepting Best Comedy Writer quaich from Christopher Brookmyre on behalf of husband Keir McAllister. Taking the floor ain’t good enough for him anymore. Same pose as last year, different award for Darren Connell. 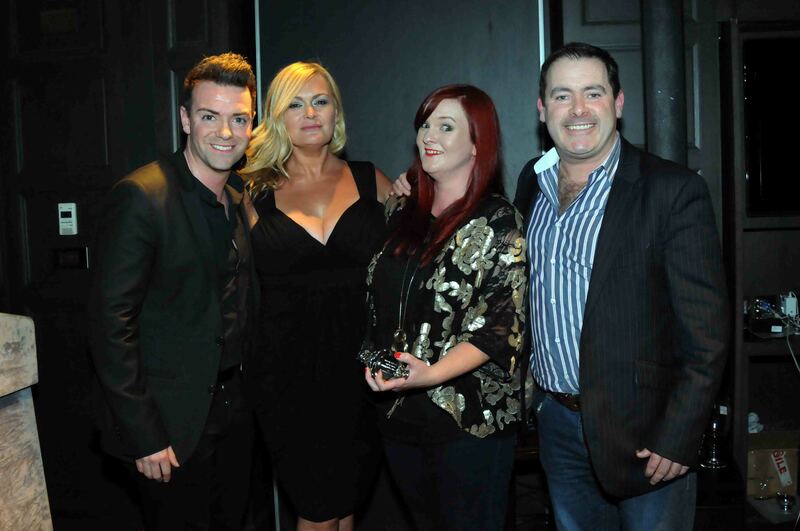 Not sure if this is Gary Little, Kevin Bridges or Daniel Sloss collecting the award for Best TV Comedian. 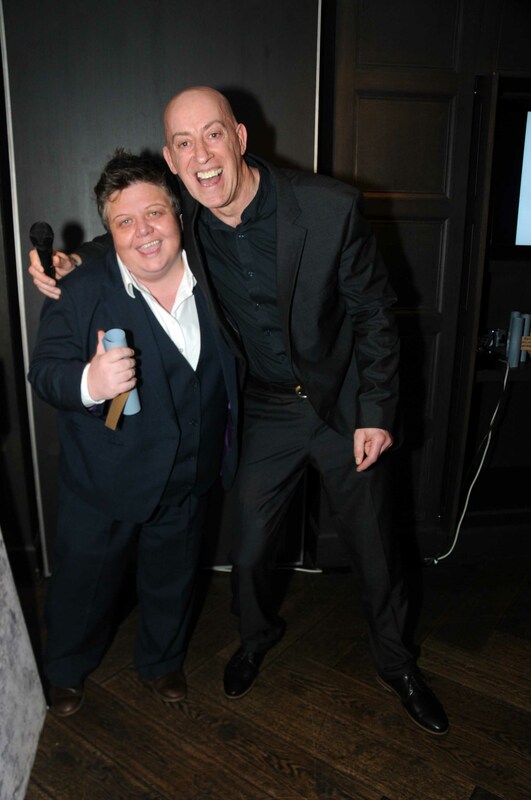 Gary Little and Britain’s Got Talent star Edward Reid. 2014 was an amazing year for Scotland and for Scottish Comedy. 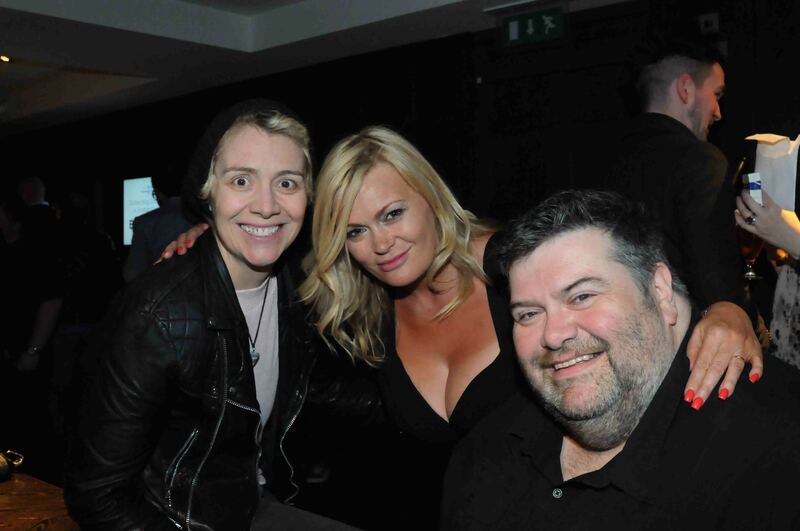 Since the inaugural Scottish Comedy Awards took place last March, Scotland’s comedians have had a once in a generation opportunity to cast their cheeky eyes on some of the most interesting events our nation has experienced. They did us proud. Now it is time to celebrate their banter. 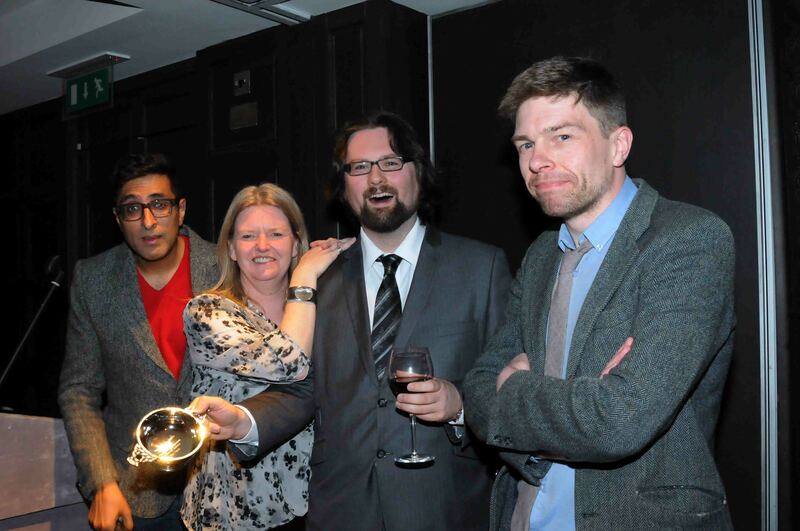 Voting for the 2015 Scottish Comedy Awards is now open. Voting is only for those who actively work within the Scottish Comedy Industry – e.g. 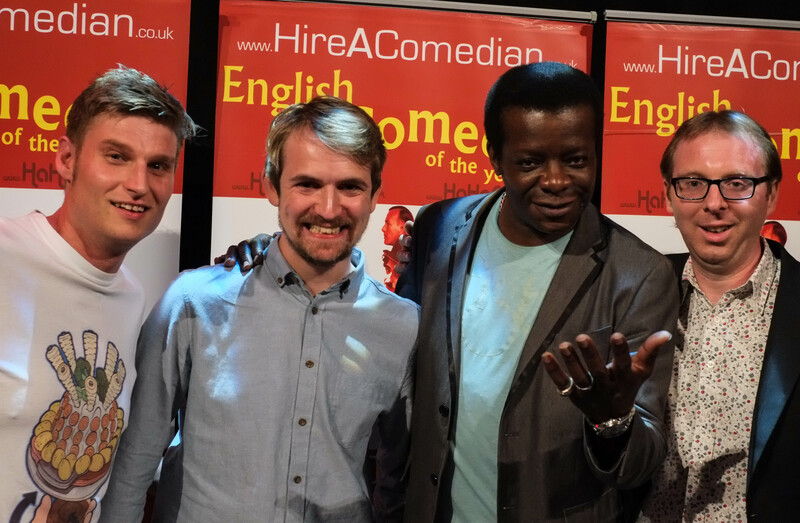 Comedians, promoters, journalist, Radio & TV production staff, comedy venue staff. Voting will close on Tuesday 21st April 2015 at noon. 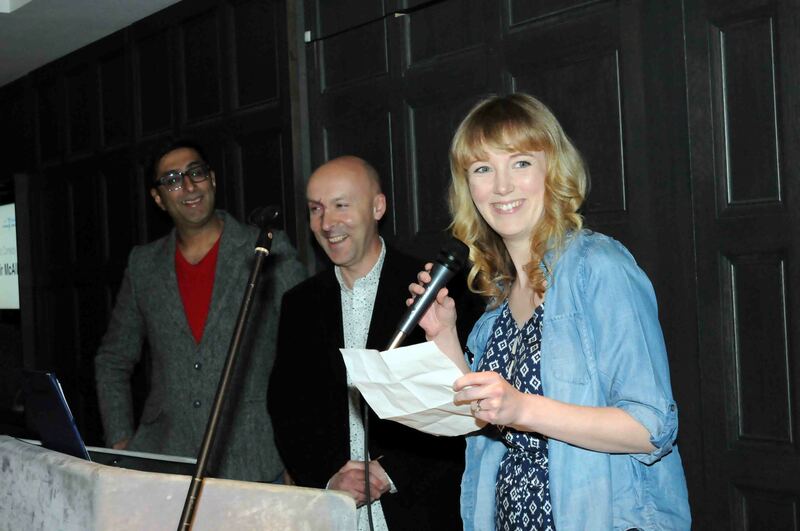 Following the tremendous success of last year’s inaugural Scottish Comedy Awards, nominations are now open for the 2015 awards. Nominations are only open to Scottish Comedians or those in the Scottish Comedy Industry. Once nominations close, the panel then meet up next Monday and sift through the nominations to select 4 per category. Andrew Maxwell presenting Daniel Sloss and Fred MacAulay with their awards in Mayrhofen Austria. After the panel have narrowed down the nominations to four per category, voting will begin. Voting will only be open to those in the Scottish Comedy Industry. As with last year the panel reserve the right to slightly tweak the categories. 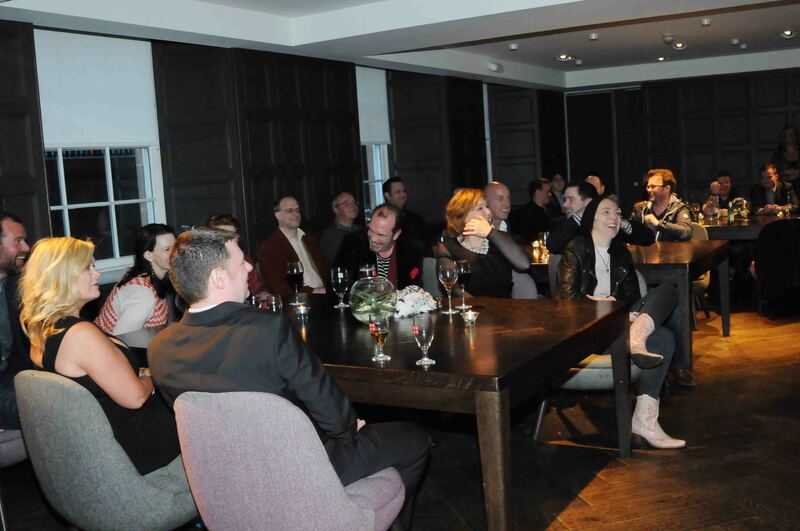 Then the winners announced at a big piss up on Wednesday 1st April at Blythswood Hotel in Glasgow. SCOTTISH COMEDIAN OF THE YEAR 2014 entries now open. Final at O2 Academy Glasgow on Sunday 28th September. Winner gets £1500 & trip to Adelaide Fringe & EdFringe show next year like loveable Larry Dean who keeps selling out. Enter if you’re Scottish & can be arsed. Don’t bother if you’re not or can’t. First heats immediately after EdFringe so fill the form out ASAP. AFTER his triumph at this week’s Scottish Comedy Awards, Gary Little joked that his last great win was a table tennis tournament in prison. He was speaking only partly in jest, since he has served two jail terms and is actually a dab hand at ping pong. In the audience at a recent gig there were two prison officers and four former inmates. “It was cons reunited,” said Gary. Sipping green tea in a Glasgow cafe and enthusing about hill climbing, if Gary now seems far removed from a criminal life, it’s because he is. The comedian, who won Best Headline and Best Show at the inaugural awards, is a mate of Kevin Bridges, who is also a fan. Gary is so popular on the circuit that at Glasgow’s recent comedy festival he headlined four venues in a night. At 6ft 2in, the man they call “Big Gary Little” is a boulder of a bloke, an animator’s impression of a typical Glasgow hardman. He is a natural raconteur and his act is gallus, but sharp. Glaswegian in flavour with universal themes. It’s 20 years since he was sentenced to eight years for dealing in ecstasy, landing in Barlinnie but, with good behaviour, moving to an open prison and release after four years. He said: “I didn’t set out to deal. I was clubbing a lot and I just started getting it for friends and it developed. It wasn’t something I planned and I haven’t touched them for years. “Prison was daunting but it’s like a big school, you know people from your own area. Prison – like the other dark theme in his life, depression – makes it into his act. He said: “Everyone knows the scary stuff from prison but there is a lot of humour, winding each other up. “There was a hard con who was terrified of wasps, so every September they spread jam on the outside of his window to attract them. On his release, Gary, 50, found a job working the night shift for Harper Collins but was jailed in 2008 for selling £50,000 of books on eBay. 100 per cent positive feedback on eBay. At his original hearing at the High Court in Glasgow, Lord McEwan told him it would be “unmerciful” to add to his troubles by jailing him. His decision was overturned and Gary is yet to spot Lord McEwan at a gig. He spent seven months in open prison, at Castle Huntly, and had a short story published in a book that was distributed, ironically, by Harper Collins. On his release, he was placed on an electronic tag for six months. The governor timed the curfew to allow Gary to play night-time gigs. The humour came from his mum “Big Vera” who was “wee with a huge personality”. She was a school cleaner and his dad was a plumber, and Gary and his four sisters were raised in Maryhill, Glasgow, the first few years in a house with an outside toilet. They moved to the east end scheme of Balornock and basked in the luxury of three bedrooms and a garden. It was a happy childhood and he was always the funny man. “I was the idiot at the party you either think of as funny or an a*******,” he said. 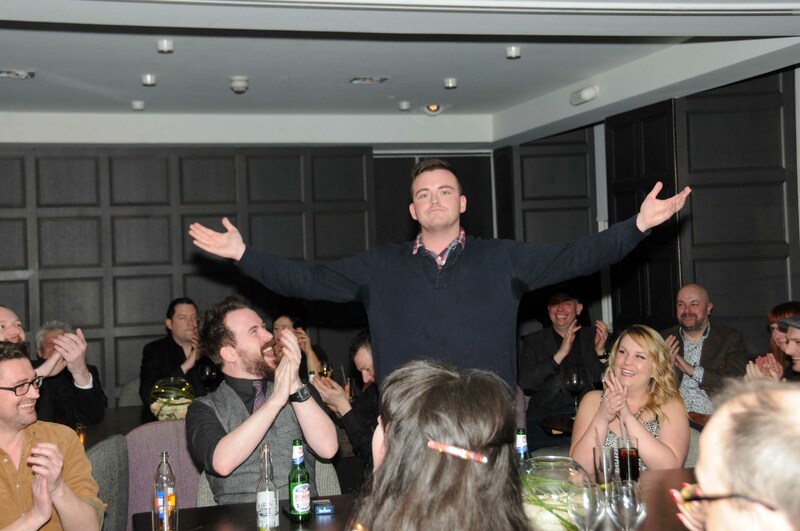 Gary took to the stage in a gig for a mate at the Halt bar in Glasgow and it was a success. He was then short-listed in a competition at the Stand Comedy Club in Glasgow and gradually he has built a career, travelling the UK and performing in New York. He has suffered from depression and has performed mental health gigs, hoping to reduce the stigma associated with the illness. He said: “I was probably depressed for a long time but, like a lot of Scottish men, I thought I was just moody. I was in my 30s before I got treated for it. There were nights he slept fully clothed and couldn’t be bothered getting out of bed. He talked about suicide to his doctor and he laughs that she told him his plan to kill himself with exhaust fumes wouldn’t work, as his car had a catalytic converter. “I didn’t ever seriously consider it but I had the thoughts,” he said. Comedy has given him a platform to share his life on a grand scale and it has been cathartic. Arnold Brown presented with Scottish Comedy Award for Lifetime Achievement. Bruce Morton presents Arnold Brown with Scottish Comedy Award for Lifetime Achievement. 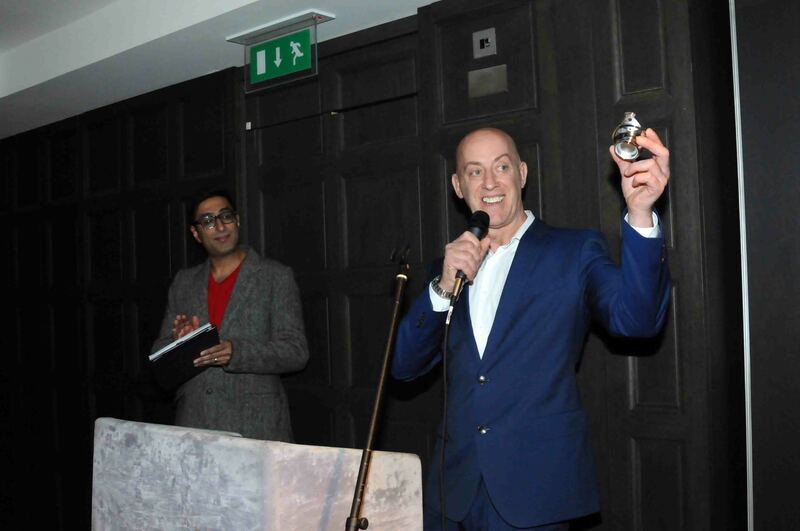 Daniel Sloss and Fred MacAulay received their Scottish Comedy Awards for Best TV Comedian & Best Radio Comedian via video link at Altitude Comedy Festival Mayrhofen.